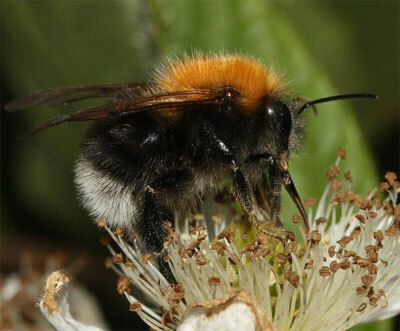 To celebrate the creation of BWARS' new website, we are launching another round of a survey to monitor the spread and colonisation of Bombus hypnorum (aka tree bumblebee) across Britain and Ireland. BWARS chairman, Stuart Roberts commented, "Bombus hypnorum was first recorded in Britain in 2001, since when BWARS, along with its partners, has been mapping its spread across the country. Fortunately, Bombus hypnorum is an easily recognised bee, so that many people with an interest in natural history should be able to help us by sending us records of their sightings. The mass ownership of digital cameras also means that it is easy for people to snap a photo - it does not need to be a brilliant shot - so that BWARS can easily check the identification". Anyone interested in helping to monitor the spread of this interesting new British bee should visit the project page for more details.